In the wonder circle, the teacher uses a Socratic sentence starter to model how to take risks and give ideas at the students' level. The wonder circle is an open circle discussion. This is best for kindergarten and first grade, although it could even be used early in the year for second graders, in September, October, and early November. Have students respond to the teacher’s “I wonder.” For example, one student may say, "I think trees without leaves don't grow in winter." 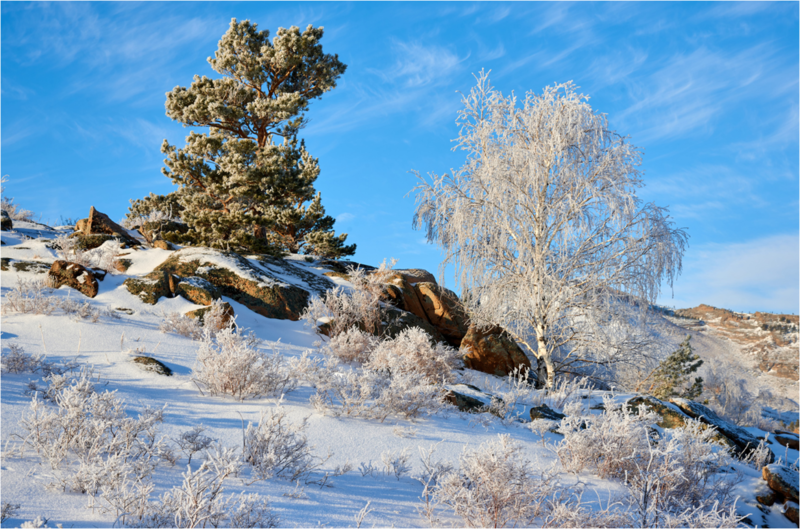 Another student might say, "I think trees with needles do grow in winter," and a third might say, "I think we could measure a tree at the beginning of winter and again at the end of winter to find out." In either option, the teacher models for students by presenting their wonder and then prompting the students to use a different Socratic sentence starter to respond to or to mimic the teacher's behavior. This type of open circle discussion can also be coupled with nonverbal class participation. For example, if a student says they wonder something, other students who had the same wonder or the same thought could quietly and gently pat themselves on the chest to visually signal to the rest of the class that they have the same wonder or the same thought. In Format 2, the teacher releases more responsibility to students for questioning and answering in a more dynamic approach that Format 1. Students can be organized in the same circle as in Format 1. This format works well for mature 1st graders and 2nd grade on up. It is useful when students are new to the idea of a Socratic dialogue and what the expectations are because the teacher will often have to be the first to ask a question and then bounce ideas off of different students to model what it looks like to chase a concept and what it means to build off of other students’ responses. The teacher might begin the Socratic dialogue with the question: "Why do you think this bird is called a goldfinch?" The students will likely look at each other for a second before someone might jump in. 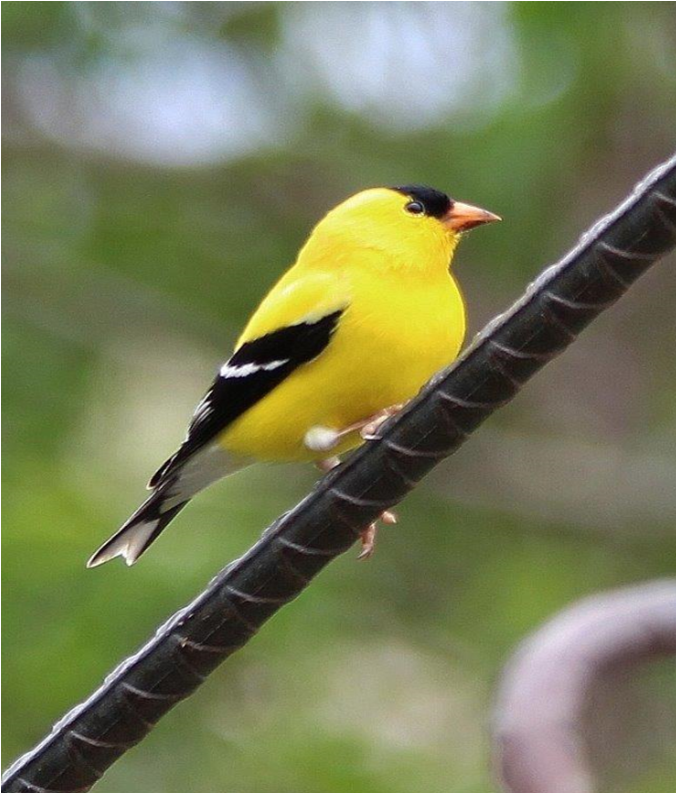 One student might say, "Well, it's yellow and yellow looks like gold so it makes sense that they would call it a goldfinch. Maybe finch is the kind of bird and it’s called gold because it’s bright yellow." The teacher might then say, “Now, what about this bird? It’s not as yellow. It’s a little greener so it blends in with the background. Is this a goldfinch?" Students might say, "Well, probably not." Or they might say, "Yeah, maybe it looks like the other one." The teacher could then prompt anyone who thinks the two birds are different to explain why they think they’re different, and for anyone who thinks they are the same to explain why. The goal here is to get students to explain their thinking. This is where students start to take more intellectual risks because they might have a variety of different explanations. One student might say, "Well, I think it's different because this one looks greener and it's blending in with its background. The other one was clearly bright yellow. Maybe this called a greenfinch or maybe this isn't even a finch at all." Another student might suggest that the second bird is young, so maybe it hasn't gotten its bright yellow feathers. This line of questioning and explaining is encouraging students to create, evaluate, and analyze, to explain what they think and why they think it. 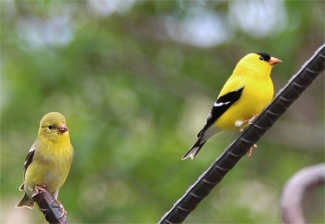 At this point, the teacher could reprise their role as active moderator by saying something like, "What if I told you both birds are adults and they're both goldfinches of the same species?" Then the teacher can move the dialogue forward, saying something like, “OK, why do you think there might be a difference between males and females of the same species in terms of this coloring like this?" As you can see, students are using real-world phenomena to explore the ideas of traits, adaptations, and inheritance. These are real birds that live in real ecosystems. Their coloring is really like this and it serves a real purpose from an adaptation standpoint. Through the Socratic dialogue, they’re thinking through the question of why that is. Some students might say that the female blends more into her surroundings so she’s less noticeable to predators, and maybe the male is brighter so he can distract predators away from the nest with the mother bird and the baby birds that are unable to move from the nest and cannot defend themselves. The teacher could then say, "Is there any other evidence of this kind of thing in nature? Can we make this connection to something else?" 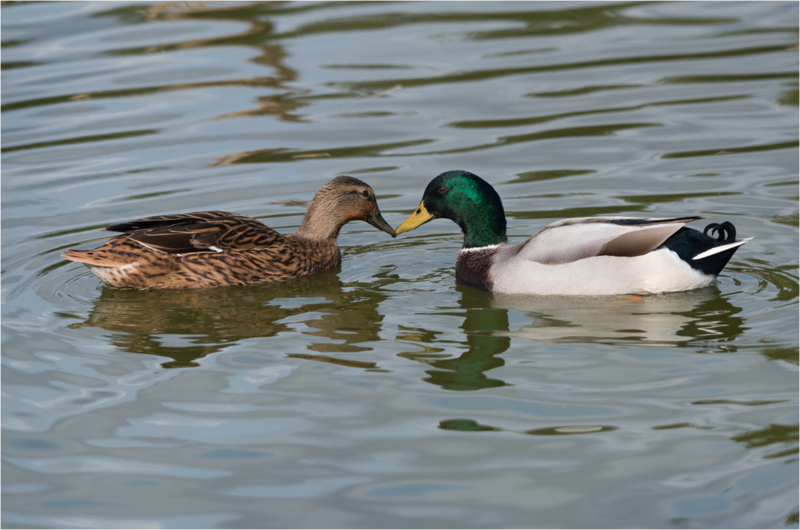 If students have trouble coming up with another example, the teacher could present this image of a male and female mallard. Male mallards are brightly colored, while female mallards are mostly shades of brown. As this approach shows, when the teacher acts as active moderator, they can actively provoke students to respond by asking higher order question and creating a safe space for risk-taking, where students build on each other's ideas. The result is students working with their own thinking and actually developing it and refining it over time. The goal, especially in the older grades, is to move toward the third format, where the teacher acts as a passive moderator and the students are in an inner circle-outer circle format. In the inner circle-outer circle model, the teacher has a more passive role. They’re there to make sure that the rules are being followed, that the conversation is remaining largely focused, and that students are transitioning through key ideas that are important to that particular lesson. This is the format where students have the maximum release of responsibility because they are responsible for questioning and answering each other. Sometimes you have to use an active moderator model for a couple weeks to get students up and running with the basic expectations for a Socratic dialogue before you can add a new layer of responsibility onto the students and use the passive moderator format. This is particularly useful for grade three and up. As you can see in the diagram above, the yellow is the inner circle. The inner circle has a verbal discussion going on, perhaps using Socratic sentence starters and Socratic questioning techniques as support. What happens in the outer circle is nonverbal. For example, students can use peer evaluation sheets to hold their inner circle partners accountable. 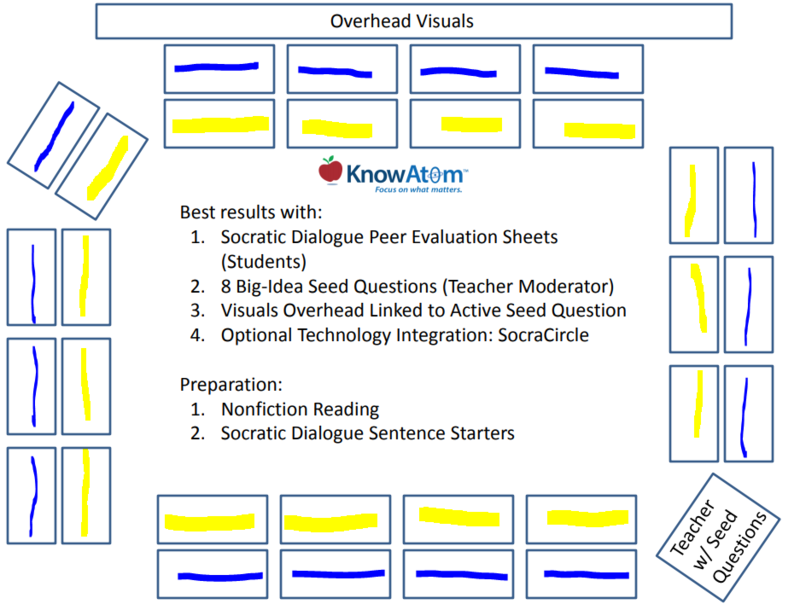 KnowAtom users use peer evaluation sheets, which we help developed with some of our users in Wisconsin, that are formative assessments based on what that student has done in that moment and which they can then incorporate in the very next Socratic dialogue. The outer circle can also expand on the inner circle’s discussion within a technology platform like KnowAtom’s SocraCircle®, which acts like a group chat. 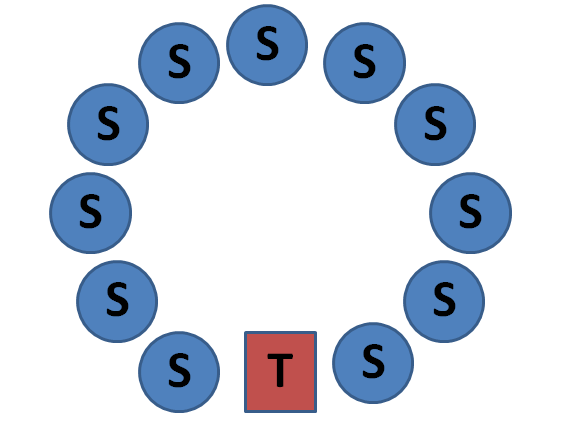 This allows the students in the outer circle to have a nonverbal Socratic dialogue in SocraCircle®, often adding on to the ideas presented in the verbal inner circle, supporting the ideas, or perhaps providing evidence or refuting a claim. The students in the inner circle can watch the dialogue occurring in the outer circle and pull those ideas into a conversation and vice versa. The students in the outer circle can pull in outside sources, visuals, diagrams, etc. to support the dialogue. Halfway through class, the inner circle and the outer circle flip. This means that each student gets an opportunity to evaluate the other, and they both get a chance to contribute to the verbal Socratic dialogue. The result is that you can have a 40-minute Socratic dialogue where you go through three or four big ideas in the first 20 minutes, and then the inner and outer circles flip. Then, you go through your next four big ideas in the second 20 minutes. The entire class has a building story to it. The role of the teacher is to hold students accountable for appropriate engagement and to help ensure the group transitions through the big ideas of the lesson. The teacher is acting as moderator with some back-up seed questions in case the group gets stuck and isn’t getting momentum, or maybe they aren’t considering a particular big idea that’s important for the lesson. A seed question is a higher order question that a teacher can interject to help pivot the dialogue either back on track or toward another big idea. The big ideas are concepts that reflect back on the performance expectations of the standards. They are connected to one another in a web of concepts through the nature of science itself as well as through the crosscutting concepts. This is why it’s so important to not teach the standards in isolation. They are performance expectations that have life within a storyline that lives on beyond a single lesson or unit and they're taught in clusters together. Socratic dialogue gives us the first opportunity to encounter, develop, and grow these ideas and really work with them like play dough or clay, actually molding and changing the ideas.